The essential guide for those who want to enjoy the great charms of this small city, with detailed information about the architecture, the history, famous personalities, museums, and much much more. 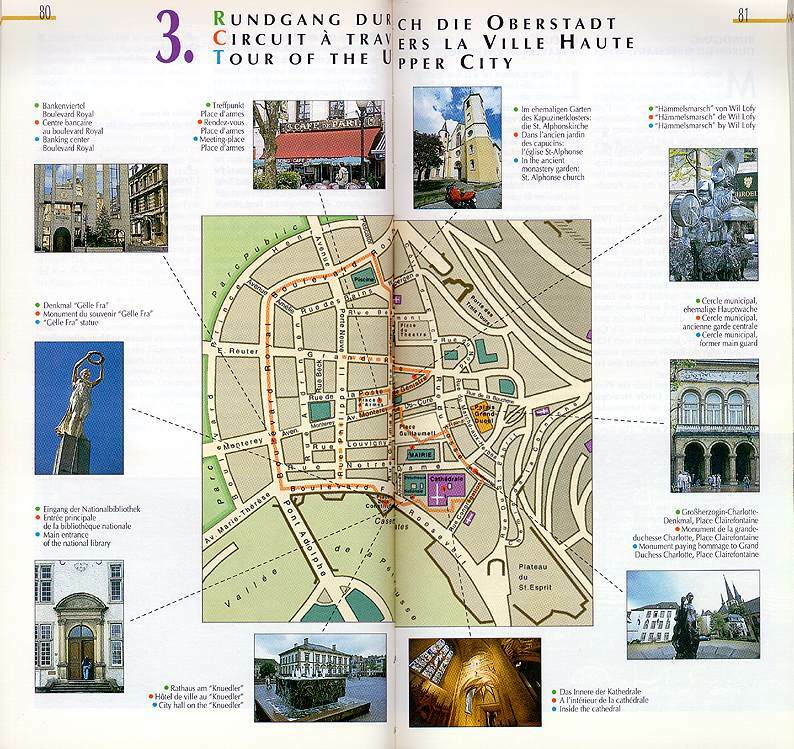 It also contains recommendations for tours and excursions, maps, and many practical tips. This is an informative and richly illustrated guide, in which the traveller will find every tourist destination in the country, with useful addresses, practical maps and plans, tips, and details of events. Written by insiders for those who would like to be. 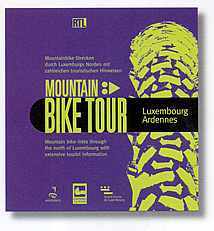 The practical mountain bike guide for Luxemburg's Ardennes with complete distance sport information and great "Après-Bike" programmes. 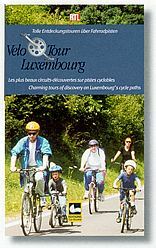 Charming tours of discovery on Luxembourg's cycle paths. This is a practical and richly illustrated guide with a complete cycle map for great cycle tours suitable for all. With its 40 routes described in detail, and all the various alternatives, the AXA guide “40 Cycle Routes” offers cycling enthusiasts, whatever their level of proficiency, a unique opportunity to choose anything from a peaceful family excursion to an extremely demanding training ride. For the most part these round trips use quiet country lanes or secondary roads, taking riders through a total of 511 towns and villages. On their way, the cyclist can not only discover the joys of nature, but also the land and its people. Route profiles, distances, 149 route variations, technical and sporting route descriptions and removable maps, make the AXA guide “40 Cycle Routes” a practical “training partner” for anyone who cycles to keep fit. Discover the most delightful landscapes of Luxembourg – on foot and by rail. This handy practical guide introduces 40 specially conceived routes, which lead from one railway station to another. 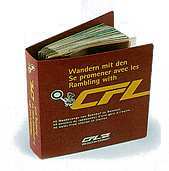 Using Luxembourg Railways (“CFL”), your walk will be a refreshing and enjoyable way in which to spend some leisure time. 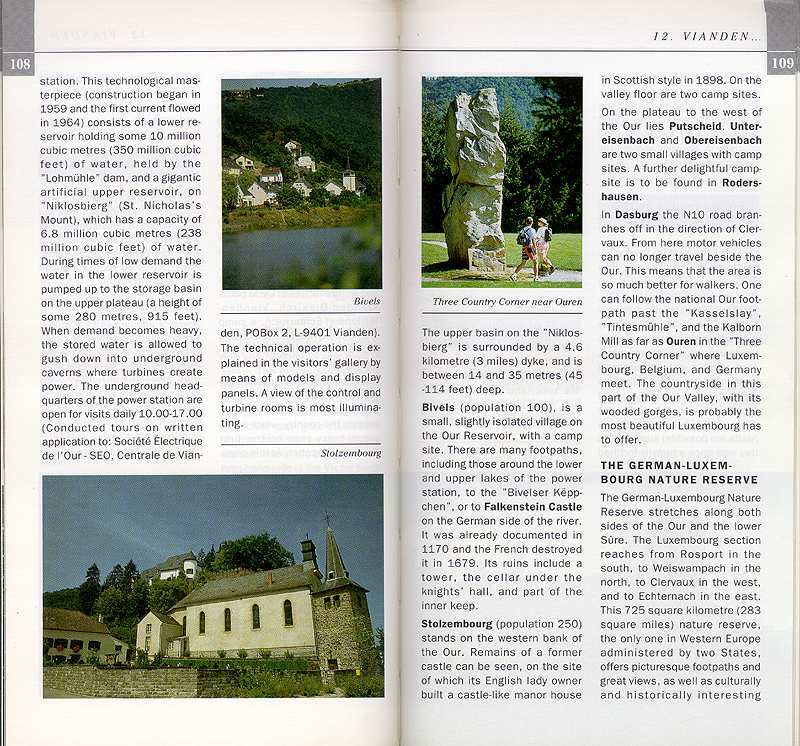 The yellow guide "182 x Luxembourg – Walks and theme paths", first published in 1998, has been thoroughly worked over. New routes came to replace those which no longer met the severe selection criteria. Others were walked along again by our team so to detect and include in this edition the changes which had occurred meanwhile. Whenever possible, the new digital maps by the Administration du cadastre were used. 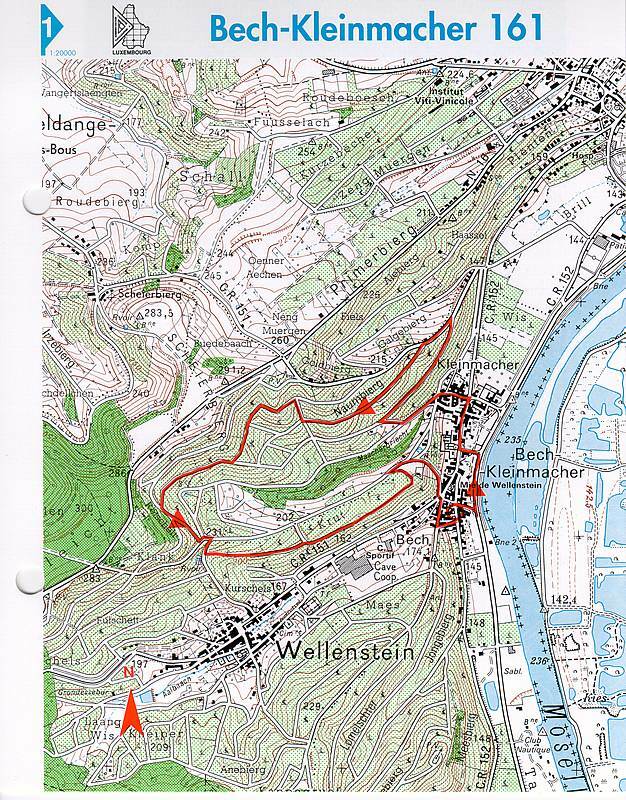 The official walking guide from the Luxembourg Ministry of Tourism with 171 Rambling routes leading through the prettiest sceneries of Luxembourg. The best-seller among the walking guides published by Editions Guy Binsfeld is now available in a completely revised and updated version. Over the years, some of the official walks had suffered changes in their itineraries, due to road and forest works or storm damage. 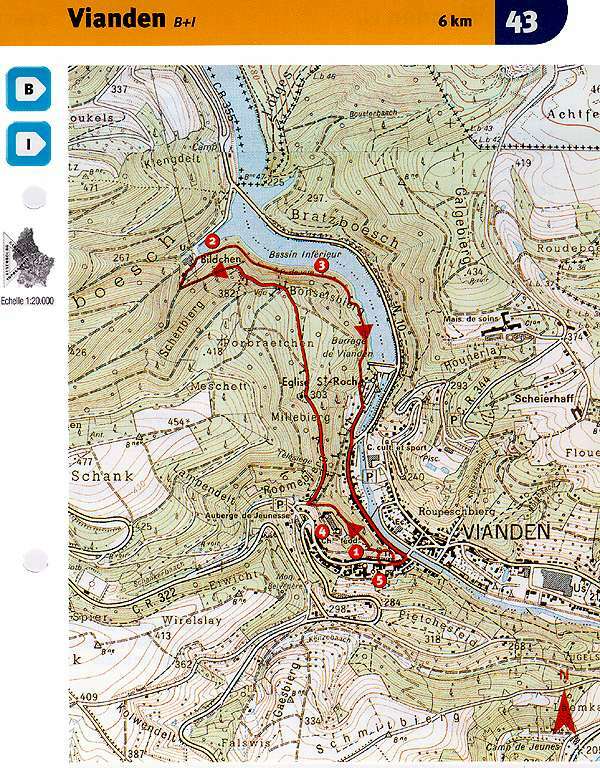 The maps and descriptions of the new guide have taken into account all changes which have occurred to those walks. There will come a time, sooner or later, when even the most ardent fan of fine food, be that Italian, French, German, Dutch or Spanish, will find a word or phrase on a menu the meaning of which cannot readily be recalled from memory, even if it was there in the first place. 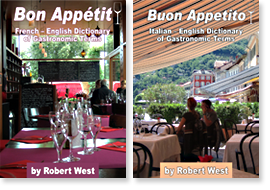 Bob West has spent years roaming the cafés, restaurants and markets of Italy, to come up with a number of splendid little volumes entitled "Buon Appetito" - small enough to carry unobtrusively in your pocket, they are an invaluable aid to anyone who wants fully to savour the delights of "foreign" cuisine. The purpose of these booklets is to aid memory: to describe what gastronomic delight or otherwise is awaiting those who might order that "unknown". Part of the joy of a meal abroad is the anticipation, the excitement of expectation. That thrill is enhanced when you know what you have ordered. Visit www.gourmetguides.eu to order your copy.